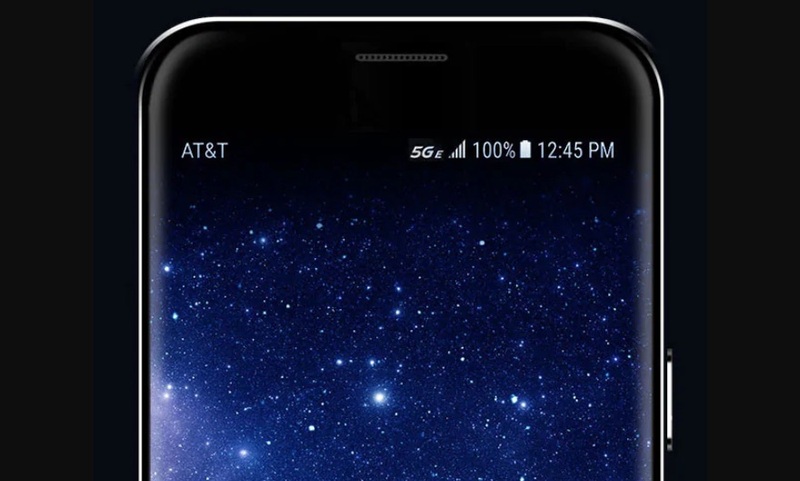 Enlarge / A smartphone with AT&T’s "5G E" network indicator. AT&T’s 5G E stands for 5G Evolution, but it’s just 4G LTE. AT&T says that 5G E is different from its normal 4G network because it uses 256 QAM, 4×4 MIMO, and three-way carrier aggregation. But those technologies are part of the years-old LTE-Advanced standard, and are already used by Verizon, T-Mobile, and Sprint on their 4G networks. AT&T has said 5G E provides average speeds of about 40Mbps and peak theoretical speeds of 400Mbps. OpenSignal measurements last year found that AT&T’s average 4G speed nationwide was 15Mbps, behind T-Mobile’s 21.6Mbps and Verizon’s 20.6Mbps. Verizon’s average download speed in eight major cities was 53.3Mbps, well ahead of AT&T’s 37.1Mbps, according to Tom’s Guide measurements. Verizon this week pledged that it won’t falsely call 4G phones 5G, and AT&T’s name change was also mocked by T-Mobile and Sprint. “Every company is guilty of building a narrative of how you want the world to work, and I love the fact that we broke our industry’s narrative two days ago, and so they’re frustrated and they’re going to do what they do,” Donovan said. Donovan said the 5G E icon will be used in 400 markets across the US where AT&T has deployed advanced LTE technologies. AT&T’s only real 5G offering is a Netgear mobile hotspot that costs $499. When launching the device in December, AT&T said it became “the first and only company in the US to offer a mobile 5G device over a commercial, standards-based mobile 5G network.” The 5G network initially went live in parts of 12 cities, and is expected to launch in another seven cities in the first half of 2019. Besides the 5G hotspot, AT&T plans to offer two Samsung 5G phones this year. An AT&T announcement yesterday said that its real 5G network will be ready nationwide in early 2020, using sub-6GHz spectrum. AT&T will also use millimeter-wave spectrum for higher speeds, but didn’t provide details on when that will go live or how extensively it will be deployed. While 5G can be deployed on any frequency, the use of millimeter-wave spectrum is what is expected to really distinguish 5G from 4G. AT&T has said its 5G wireless trials have been producing speeds of more than a gigabit per second over millimeter-wave frequencies.